Opmantek’s Virtual Appliance has always been a feature-rich virtual machine. The appliance now supports Single Sign-On (SSO) across the Opmantek suite, this can increase your functionality and lower your stress. 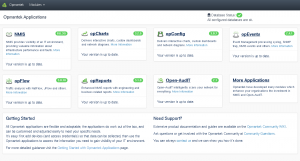 The release also has a new landing page that displays all the installed applications, it even notifies you when new application versions are released. Setting up a Virtual Appliance for your network monitoring and auditing has never been simpler. Server Virtualisation has been known to increase productivity while reducing hardware and energy costs. Using a virtual appliance to discover, audit, manage, analyze and visualize your IT environment can save your business money while giving you more control and flexibility. 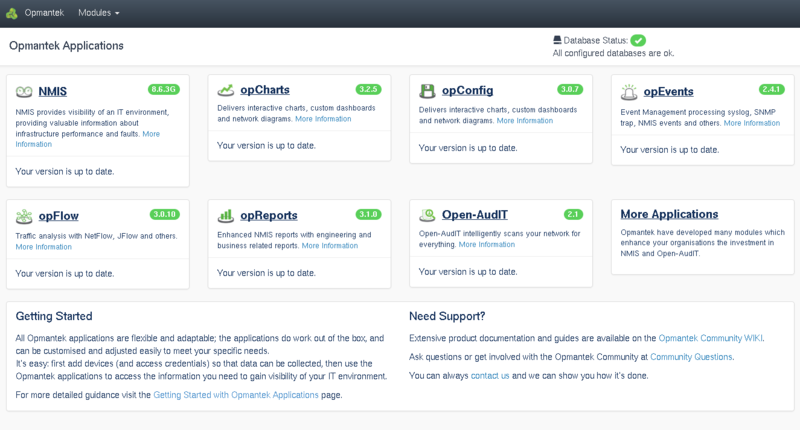 Opmantek’s Virtual Appliance landing page, showing the applications installed and their versions. And as always, we are constantly improving and fulfilling customer requests.